When I was 13 years old, I started feeling sick, tired, and having recurring daily migraines. Worst of all, I started losing passion for the things that I loved. One day, my mom took me to the ER because she thought I might have Mono. They did some blood work and realized that my white and red blood cell counts were abnormal. They sent me to the Children’s Hospital of Minneapolis and I was checked into the Oncology Department. It was there that they did an MRI of my head and spine, as well as a spinal tap. That day I was diagnosed with a Brain Stem Glioma, a tumor inside of the Brain Stem. Unfortunately because of the location it is inoperable and chemotherapy/radiation have a very slim chance of working. Because of these roadblocks to traditional medicine, I was given an 8% chance of survival over the upcoming 6 months. That was my “ah hah” moment. I decided that if that was all I had, I was going to make the best out of it and go for my dreams NOW! That was when I moved to LA. I had always been passionate about acting, modeling, designing, writing, etc. but it was time to pursue it as a full time career. I started going full force, and things took off! 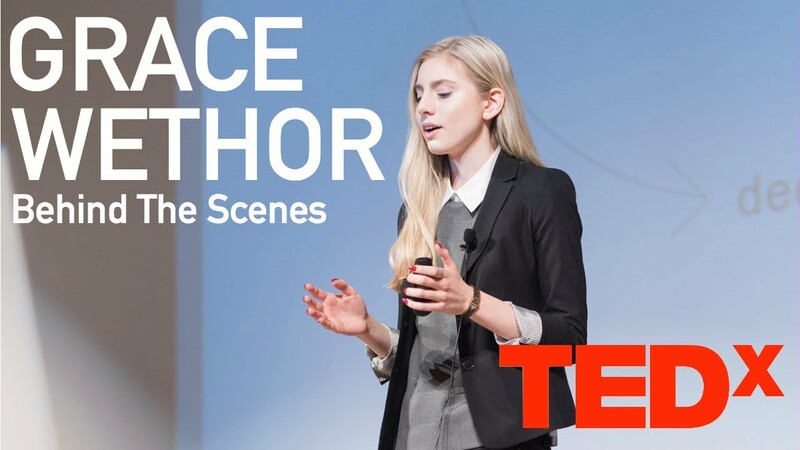 A Ted Talk, Teen Vogue It Girl, going to London with Vogue, hosting fashion shows for Brain Cancer Survivors all over the country, and much more. I still have my brain tumor and I continue to fight everyday, but it is a battle I am proud to be a part of. I exceeded all of the doctors expectations, and just hit my two year mark. I continue to share my story as inspiration for others who are fighting a deadly disease and have dreams that they aspire to as well. Every kid I can possibly reach through one of my talks or fashion shows, is one more that may decide to go full force for their dreams as well. And then we would have a world full of dreamers. How Has The Diagnosis Changed Your Life? When I speak about my tumor, many people believe it is a negative experience. While it is the hardest thing I have ever gone through, it is one of the most positive experiences in my life, because it forced me to go for my goals now! I would never be as far as I am today without this one roadblock. It changed my trajectory and my outlook on life; and that has been key to my hard work and determination. TedX- How Was That Experience? Model or Actress If You Could Only Choose One? For me acting has always been number one. Of course I love modeling, but acting makes me feel a different way; it’s indescribable. Favorite LA Boutique, hotel and restaurant? It changes drastically depending on the city/environment I’m in. One day I can be in a gown and the next I'm in Army pants. My mom says I'm a chameleon, and it’s so true. You're a Teen Vogue It Girl! What are girls into nowadays? It changes every day! I’m always on the lookout for new and upcoming trends. That could mean studying social media or visiting boutiques all around the world. One thing that I always love is when people come up with something original and adapt the trend to match vintage style, I think that’s the key to a classic trend. I know what I want to be next, but as I have learned, life can change in a second. I would love to continue pursuing my fashion and acting careers and venture into new projects in the upcoming months.